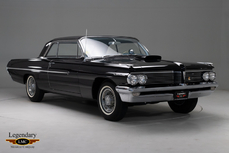 Unknown at the time, the year became the pinnacle of Detroit's power prowess. In one swift moment, all the rules were thrown out the proverbial window, particularly at General Motors, which finally lifted the self-imposed 400-cu.in. engine restriction for intermediate platforms. 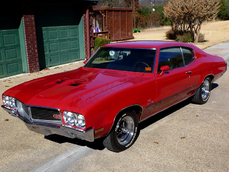 But while much of the attention was bestowed upon Chevy and Pontiac with their image-leading Chevelles and GTOs, it was Buick that may have subtly made the ultimate "supercar" statement. Equipped with a newly developed 455-cu.in. engine, the re-badged GS 455 touted a whopping 510-lb.ft. of torque--this from a division that catered to the upright businessman and the moderately successful family alike--bolted into a car that, with the exception of discreet badging, didn't scream "muscle" like its striped brethren. 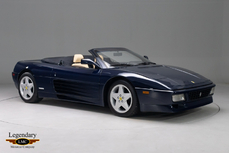 And if that was not enough, there was the Stage 1 option that, when adapted to the 455, produced an additional 10 horses...or so they claimed. Even the contemporary motoring press, specifically Motor Trend, which tested a Stage 1 to a 13.38-second ET at 105.50 MPH (January 1970), was quick to quip that the factory rating was "some kind of understatement of the year." 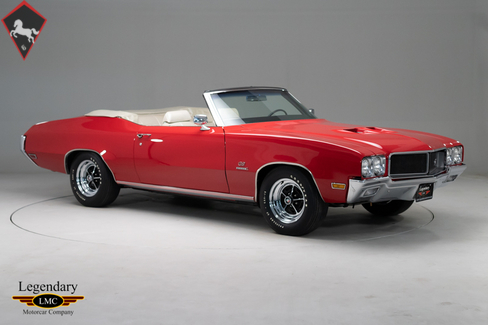 This prize-winning 1970 Buick GS Stage 1 convertible, is one of only 67 Stage 1 convertibles equipped with the Muncie 4-speed manual transmission. Being they were built in the pinnacle performance year of 1970, 4-speed-equipped Stage 1 convertibles are commonly referred to as the "Holy Grail" of classic-era Buick GS muscle cars. 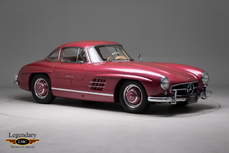 Few remaining examples approach this one’s exclusivity, for it is one of the most highly optioned cars of its type built. Finished as originally produced in Fire Red with a Pearl White-on-black interior and matching white soft top, it combines the 455 Stage 1 engine option package along with (Positraction performance axle, heavy-duty cooling, Rallye Ride Control Package and Heavy Duty Suspension Components) with power steering and front disc brakes and Goodyear Polyglas GT G60-15 white-letter tires on chromed wheels. Building on Buick’s reputation for upscale comfort, the GS convertible’s luxurious interior offers a Soft Ray-tinted windshield, Custom Trim bucket seats, locking “Consolette” short center console, Convenience Light Group, Tach and Gauges Instrument Group, dual chromed outside mirrors with driver’s remote control and an AM/FM radio. These options are listed on both the window sticker and the included GS Historical Society report generated from Buick factory records. 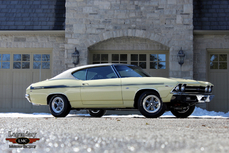 This car was sent to highly respected Buick GS expert Dave Kleiner of GS Enterprises in Potosi, Wisconsin, who completed the car’s frame off, rotisserie restoration to painstaking detail. 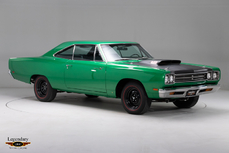 As testament to Kleiner’s craftsmanship, the car received the "Best Muscle Car" award in a very high-quality class at the 2014 Milwaukee Masterpiece Concours d’Elegance. 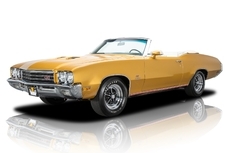 It has been part of a very well respected muscle car collection since completion. 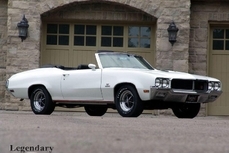 Like many such award winning machines are normally confined to a life in controlled-climate storage punctuated by brief public appearances, this rare Stage 1 convertible is well sorted and ready to be enjoyed..
1970 Buick GS Stage 1 is listed for sale on ClassicDigest in Georgetown by Legendary Motorcar Company Ltd. for Not priced. Buick, today an American automobile division of the American manufacturer General Motors (GM), was founded in 1899 as the Buick Auto-Vim and Power Company, making it the oldest car make in the US. To us, the most memorable models in Buick's line up have to be the late 40's Roadmasters and 60's stylish Rivieras with strong Italian influences.